Woohoo, it’s Friday again and what better way to kick off the weekend than with some sweet, stylish shopping? Today I’m stalking Etsy! If you have not heard of Etsy you would have to be living under a rock as this store is bangin’ matter what country you live in! Filled with precious gems of either vintage or handmade items, Etsy has to be one of my favourite (and most expensive) procrastinations. None the less, here are some items I’ve been dreaming about this week. Lets hope Mr Cullen will approve! 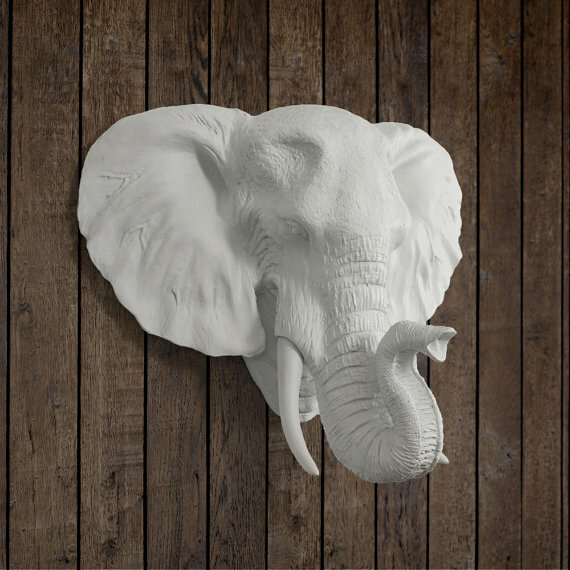 The Elephant– I generally wouldn’t choose to have animal heads in my home, but could quite happily make an exception for elephants. There is something about the gentle giants that I just absolutely love! This guy would have to be a Max… he’s cool, calm and I’d like to have some of his wisdom. 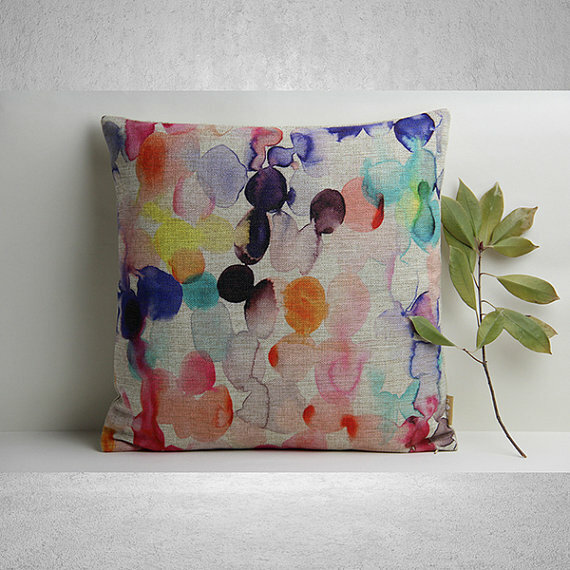 Abstract Hand-painted cushions– Aren’t these cushions divine? The softness of the colours in this print just takes my breath away. It’s tropical, summery, fun and yet still elegant. 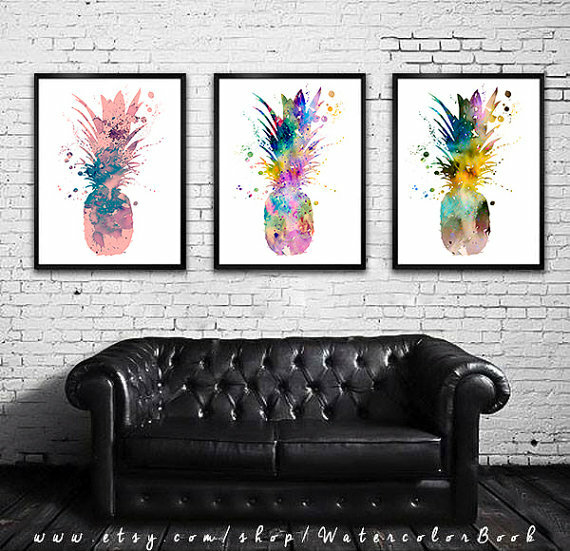 Pineapple Prints – Okay, how could anyone not jump on this bandwagon? Pineapples have taken off in such a huge way and this right here is a fantastic example of why. 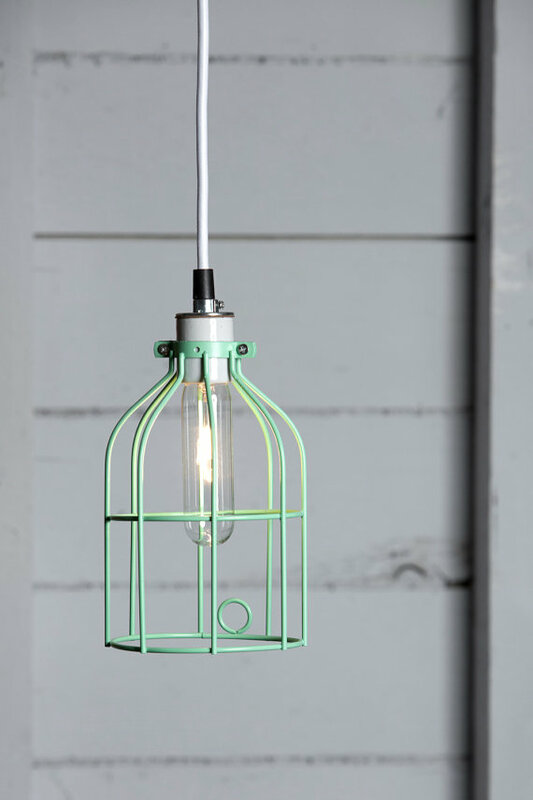 Mint Green Pendant– Totally swooning over the details in this lamp. It is so chic – I’d take two if we hadn’t already picked out the pendants for our kitchen.. time to think of where else they could go? 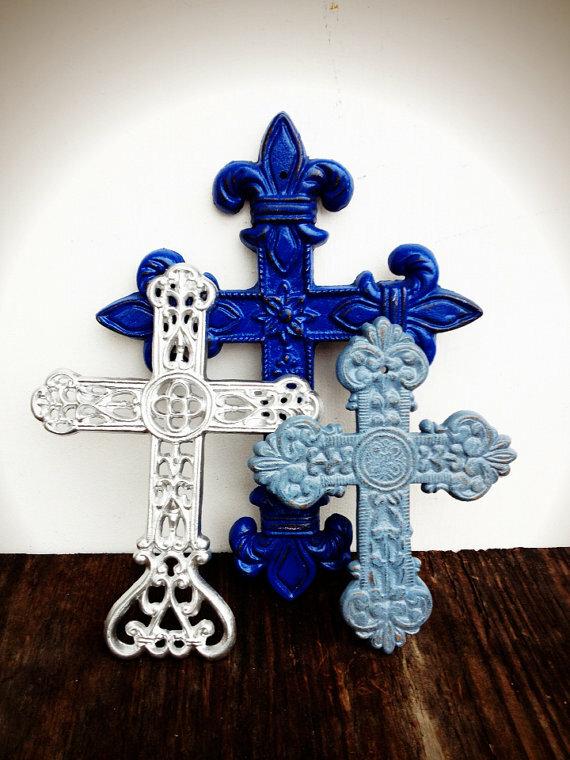 Ornate Crosses– The symbol of a cross is very special to me, it represents forgiveness and freedom. So naturally, it’s something I’ve always wanted to incorporate into my home. Now I see these and I’m thinking -why just stop at one when a cluster of three could look this good together!